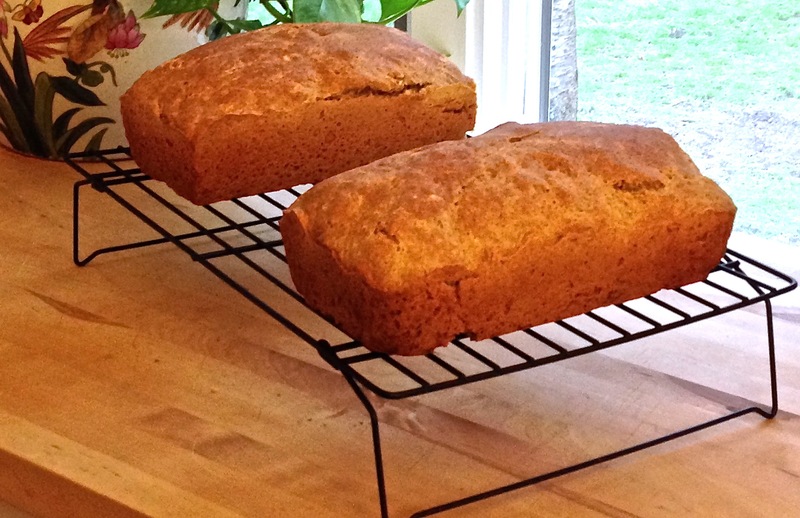 The recipe for this Irish Brown Bread is adapted from The Secrets of Jesuit Breadmaking by Brother Rick Curry, S.J. I was not taught by the Jesuits. Rather, my grammar school, high school and college education was under the tutelage of the De La Salle Christian Brothers, also known as the Brothers of the Christian Schools, or in Latin, Fratres Scholarum Christianarum (F.S.C.). The Christian Brothers were also well-known wine-makers, but I don’t make wine, I only drink it. Pre-heat oven to 350 degrees, position the rack about 1/3 from the top of the oven. With a pastry brush, butter two 9 x 5 inch loaf pans, with the melted butter. Add the butter and buttermilk and mix well again, to make the batter. Divide the batter evenly and, keeping your hands moist with water, form each half into a tight ball, this reduces the possibility of air holes in the baked bread. Place the batter in the loaf pans and push down to compact each loaf, then place the loaf pans in the oven. Bake for 45 to 60 minutes. Test for doneness by placing a knife in the thickest part of each loaf. If the knife is dry to the touch, the bread is done. Remove bread from loaf pans (if stuck, use a knife to loosen from the pan), transfer bread to a wire rack to cool. * Before having an electric mixer, I would do this by hand. I highly recommend using an electric mixer. 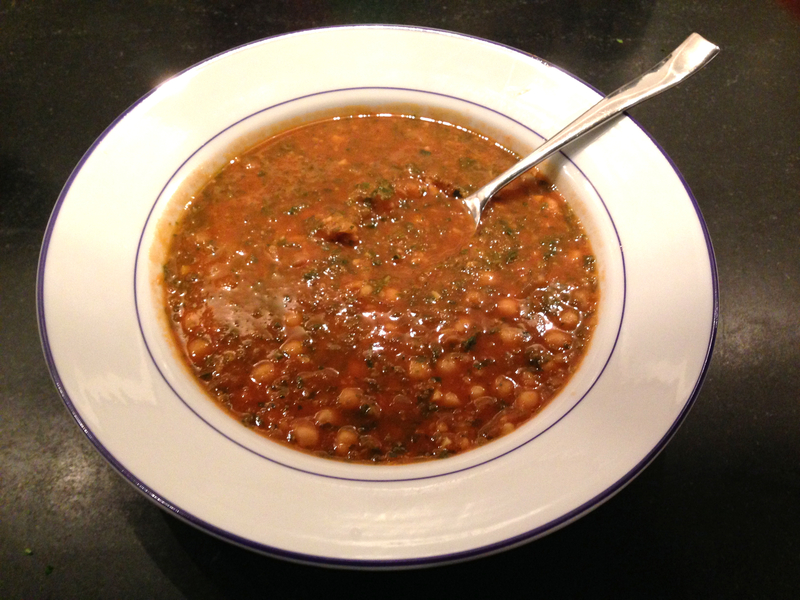 This is a great and inexpensive winter meal. Who wouldn’t enjoy their veggies with macaroni? This pea porridge will not sit in the pot for nine days in our home, but it will help to warm our viscera for a few weeks, and if half of it is frozen, it might last another month, but it’s so good that I highly doubt it. In an 8 qt. pot, add garlic and onions and sweat over medium- low heat for 5 minutes. Add celery and carrots, and sweat for 5 minutes more, stirring periodically. Mix in the Goya Sabor a Jamón and stir well for 1 minute more. Remove the pot from heat, add the peas and water, cover and bring to a rapid boil. Reduce heat to medium-low and simmer uncovered for 50 minutes. Stir periodically, to prevent peas from sticking to the bottom. Transfer to a food processor in batches, pulse process until fairly smooth, then add to a clean pot. Continue until all of the soup has been processed. Just before serving, add some cut-up hot dogs, about 2 per person (cut 3/4 inch thick) and heat thoroughly. Serve with a drizzle of olive oil to each bowl. *This is a quick and easy recipe and the Goya Sabor a Jamón adds a nice smoked pork flavor to the soup. However, the ingredients listed in order of highest concentration are salt & MSG. So if you have an aversion to them, then take the time and expense to substitute them with Smoked Ham Hocks (2), a Ham Bone, or a Prosciutto End. That is how we usually make our pea soup, but in this case the Goya Sabor a Jamón worked just as well, and we didn’t have to go out to the market on a cold and dreary day. 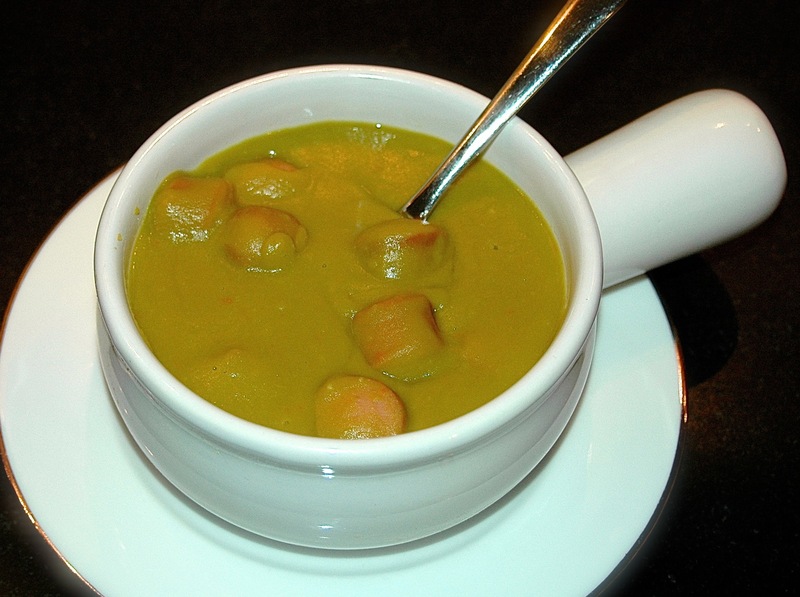 Pea Soup as thick as fog, enjoyed by the fire place, that says winter on Cape Cod! Meatloaf! It’s what’s for dinner tonight! When its cold and damp on foggy Olde Cape Cod, one’s thoughts return to comfort food, and “Not Your Mother’s Meatloaf” is guaranteed to make you feel warm and cozy. 1 lb. sliced cremini(also calledBaby Bella) mushrooms.